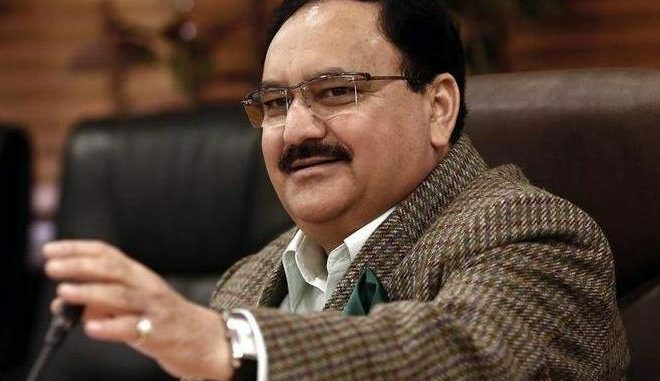 New Delhi : Union Minister of Health and Family Welfare J.P. Nadda on Saturday announced the National Health Policy 2017 as one of the many progressive strides being made by the country, adding it was one of the several long due activities that had fructified under the NDA Government’s mandate of ‘sabka saath, sabka vikas’ under the visionary leadership of Prime Minister Narendra Modi. “The NHP 2017 has several highlights and features but at its core, as its main focus is ‘comprehensive and universal wellness’. To achieve the goals enunciated in the NHP 2017, various steps are being taken. Two very significant and patient centric initiatives have recently received approval of the Parliament i.e. the Mental Healthcare Act 2017 and the HIV & AIDS Prevention and Control Act, 2017,” Nadda mentioned in his blog. “The Acts are one of the many sub components of the NHP 2017, as the Policy seeks to reach everyone in a comprehensive integrated way to move towards wellness. The main objective of the National Health Policy 2017 is to achieve the highest possible level of good health and well-being, through a preventive and promotive health care orientation in all developmental policies, and to achieve universal access to good quality health care services as well as stringent monitoring mechanisms for both private and public health institutes; the Mental Healthcare Act and the HIV/AIDS Prevention & Control Act would ensure the same. Also since the Policy proposes a focus on prevention and treatment in addition to the earlier model of sick-care only services, we are moving along with sick care to wellness,” he added. Now to elaborate exclusively about the individual items, I would like to start with the Mental Healthcare Act, 2017. A 2015 study placed nearly 6-7 per cent of the Indian population under the category of mental health illness – this could be significantly higher given that mental illnesses often go underreported due to the associated stigma. Elaborating on the Mental Healthcare Act, 2017, he said the Act adopted a rights based legislation on mental health and to strengthen equality and equity in provision of mental healthcare services. It was important to protect the rights of people with mental health problem to ensure that they were able to receive optimum care and were able to live a life of dignity and respect. The Act proposed a more progressive and humane approach towards mental health. It gives more value to the lived experiences, decisions and perspectives of an individual person and opposes adoption of a tunnelled vision of providing only institutional based medical services (in line with NHPs focus on wellness). Through rigorous penalties and systemic checks, the Act increased accountability of both government and private sectors in delivery of mental healthcare. On the HIV and AIDS Prevention and Control Act, 2017 which was drafted to safeguard the rights of people living with HIV and affected by HIV, he said the provisions of the Act sought to address HIV-related discrimination, strengthen the existing programme by bringing in legal accountability and establish formal mechanisms for inquiring into complaints and redressing grievances. It sought to prevent and control the spread of HIV and AIDS, prohibited discrimination against persons with HIV and AIDS, provided for informed consent and confidentiality with regard to their treatment, placed obligations on establishments to safeguard rights of persons living with HIV arid create mechanisms for redressing complaints. “As I mentioned at the start, in alignment with these provisions, the National Health Policy hopes to act as an umbrella framework to monitor their efficient roll out and reach across the country. Further, it opens up access to public resources (financially and otherwise) to meet the provisions of the Acts,” he said.